Our bespoke double glazed room dividers give your home a frameless glass door set with no visible mullions. Where you need an insulated internal door with superior energy efficiency our glass room dividers are ideal. Our patented glass units with a clear unobstructed view, transparent spacer bars and sophisticated glass units, transform the inside of your home. Slide and Fold Internal Room Dividers. Many other types of sliding or folding doors marketed for internal use are essentially external products fitted inside. With a quality slide and fold internal door from FGC you get an altogether better and more slimline solution for inside a property. Our doors are substantially slimmer, more discreet have hardly any visible frame. Our double glazed frameless doors blend better inside the home and provide a more visually appealing solution. If you’re looking for one of the best ways to divide an internal space, our doors provide a great physical barrier that is less intrusive visually. Creating a doorway between your home and your conservatory. Dividing a large room into two or more spaces. Separate your room to create a separate living or dining area. Create a new space with no loss of light compared to partition walls or timber doors. Separate a room with a corner set to create a play or study area. Enhance your outside spaces with slide and fold doors. For outside the home our single glazed frameless folding doors are ideal for walkways, carports, porches or lean-tos. If you have any kind of covered area with exposed walls, our single glazed product can make space warmer, more usable and better protected. We have expertly designed, patented and tested our internal bifolding glass doors as a durable yet discreet internal or external door, leaving you to open, close and convert any space on demand. Our single glazed doors provide all the features of our double glazed product but in a simpler format. Other great features of our double glazed bifolding doors. With our innovative doors and your own imagination, our doors offer great features and benefits. Every door is bespoke to your precise dimensions and requirements. Doors can open in or out, even in both directions with some products. Our doors are available from two doors up to 8 or more leaves. All benefit from our excellent design, high quality of manufacture and are guaranteed to provide many years of trouble-free service. Customise your internal bifolding doors with a choice of glass or colour. Depending on your own property and requirements, we can even help you choose patterned, sandblasted or acid etched glass to give your doors even more privacy when closed. 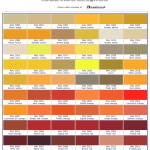 With our expert help and advice, we can help you choose the right colour to match your interior decor. There is no need to choose just standard white. We offer a range of over 150 RAL colours in satin, matt and gloss finishes, that can help your doors blend in even more with your interior colour scheme. Internal glass bifolding doors for commercial buildings, shops and offices. We also install our double glazed frameless bifolding doors in commercial buildings, shops, restaurants, bars and offices. The advantage of installing our doors in commercial applications is that they can help retain the open plan arrangement of modern offices whilst at the same time providing privacy when needed. They are also ideal for providing flexible space. Unlike typical glazed office partitions in aluminium, they are not permanently fixed. Therefore they can help you create flexible office space that can be quickly adapted from an open plan office to a meeting room, interview room or in any situation where extra rooms are required. 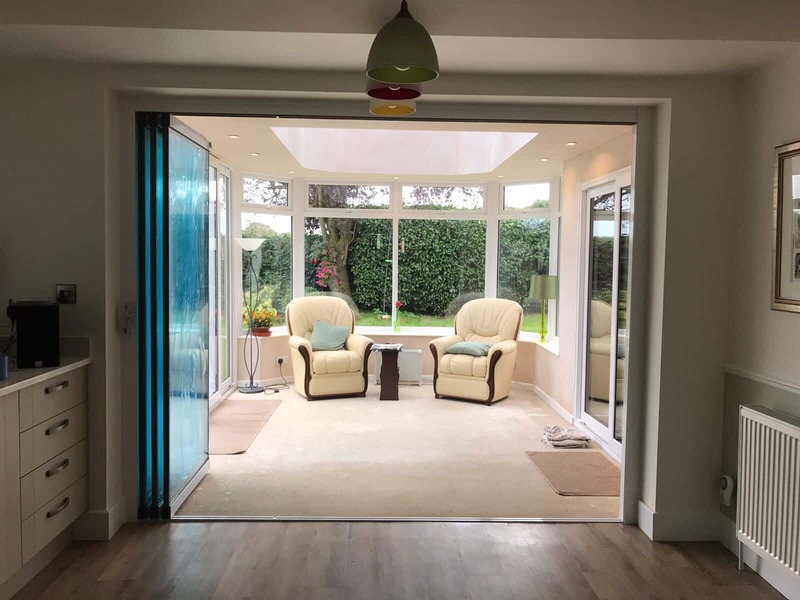 If you are currently researching the range of products available for internal bifolding doors it is quite likely that outside of bespoke internal partitions you are being quoted for a standard door with a low or recessed threshold. Our doors are different from these types of doors. You will instantly see that our doors have far less aluminium framing than any other door, have seamless glass joints where the doors meet and are the obvious choice for slimline and discreet internal doors. We also offer our doors with stunning glass handles or handles in satin or polished chrome depending upon your requirements. There are only a small number of companies in the UK that manufacture this type of product. We are proud of the fact that our system is tested, patented and manufactured in our own factory. Unlike many window systems companies, we are not purchasing our profiles from mass producers. We only make frameless glass doors, this means that our staff and fitters are highly experienced in our products. If you would like to find out more about how our range of frameless all glass bifolding doors can benefit your home and provide much more than standard bifolds or other internal room dividers, contact us today.